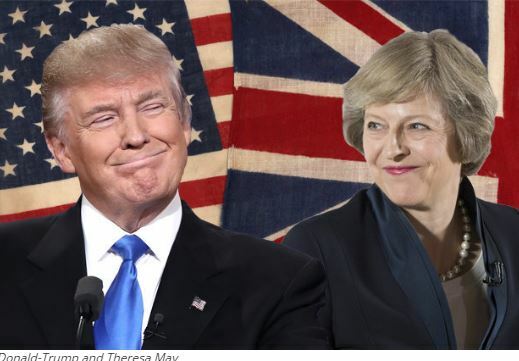 A foreign relations group in Nigeria has urged the United Kingdom and the United States to face their own democratic challenges rather than focusing on Nigeria election. The Global Relations Policy Forum (GRPF) says it is completely ridiculous for the UK and US to tell Nigeria how to run its own election when they are both the laughing stock of the world. Sadiq Adamu, President of GRPF, said they should first remove the beam out of their own eyes, and then they can see clearly to remove the speck out of Nigeria’s eye. “The Russia Collusion has plagued the United States democracy since its 2016 election. Globally, the world is watching daily as allegations and evidences of collusion unravels in the ‘almighty’ United States. “The Federal Government of Nigeria did not issue a statement when the votes were recounted in Georgia or when 3,000 votes disappeared in the votes recount in Florida. How exactly are this free and fair elections? “I’m sure that not many Nigerians know that electorate had to use torch lights at polling booths in the US during the mid-terms election. Yes, they had to because there was no electricity. These are facts and they are there for all to see, how dare the US now tell us about electioneering processes,” he quizzed. Adamu explained that the UK has been struggling with its bungled Brexit deal. He says that is a pointer that they cannot handle their own problems. “A couple of days ago, Donald Tusk said there is a special place in hell for Brexiters without a plan, to the chagrin of the Britons,” he added. “Jeremy Corbyn and Prime Minister Theresa May are at each other’s throats and Nigeria is yet to issue a statement urging them to find a solution to their problems. Adamu stated that Nigeria is a sovereign country and so it the US and the UK. He noted that the EU is not exempted from the lashing because it erroneously intervened in the matter. “The EU is grappling with problems of its own and it has failed to address key issues confronting the union. “I think they all need to assess themselves and look within before they try to set Nigeria on fire because of self-centered politics. He claimed that the fact that corruption has been plugged is the reason why the UK, US and EU are not happy with President Muhammadu Buhari and Nigeria. “We understand that the table has turned since Nigeria’s anti-corruption fight began under President Buhari. In the 16 years of PDP rule, Nigeria’s treasury was looted to these countries but since President Buhari emerged in 2015, we have been taking those monies back. “There is no jamboree travels to the US, UK and EU. We don’t shop there anymore and Nigerians are less concerned about foreign food as well. We must understand their frustration,” he said. He assured the world that the 2019 election in Nigeria will be free, fair and credible, stressing that, all countries across the globe are welcomed to observe.